Bungin in District Alas, Sumbawa, West Nusa Tenggara Province, has a nickname as the islands are in the world. 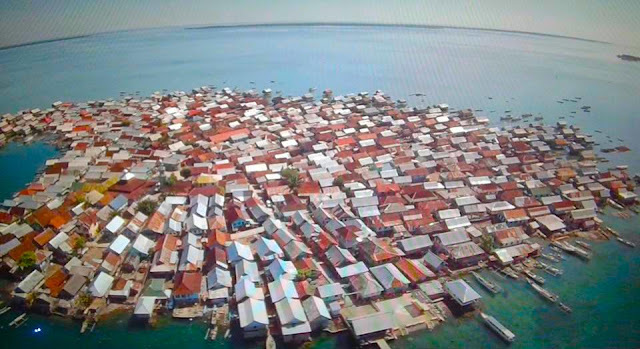 On the island is almost no vacant land, the whole land is filled with houses. Population density also makes Bungin not have a coastline, as along the coast of the island is entirely built into a dwelling. 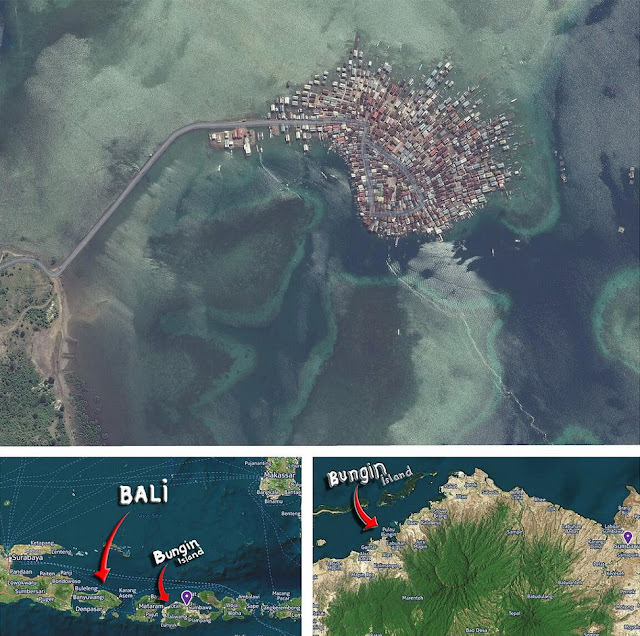 This island has an area of 8.5 hectares with a population of 3,400 inhabitants. Rarely Bungin citizens who go abroad, and they mostly choose to marry and remain in Bungin. This condition makes Bungin increasingly overloaded and run out of land. The only large open land in Bungin is local mosque courtyard. Even so crowded, there is absolutely no garden and very rare trees grow. Because there is no foliage to feed, to the extent that the goat had Bungin eating habits of paper and plastic. 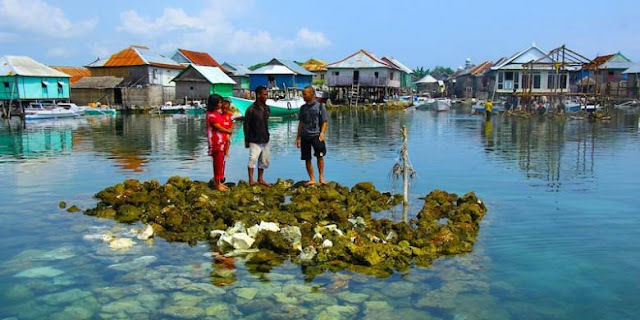 Residents who want to build a new house, must reclaim the island to bury the ocean with coral. Due to the increase in the home, the size of Bungin are increasingly expanding from time to time. Due to limited land, there are some families who are forced to live under one roof. 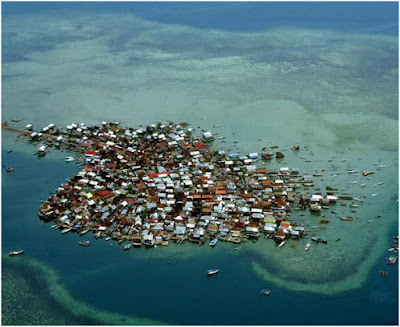 Bungin majority society descent Bajo, from Sulawesi, known as the nomads of the sea and an accomplished diver. Since infants, children Bungin been introduced to the marine world through Toyah ceremony. Since childhood, children Bungin already adept at playing in the ocean and dive for fish hunting. They commonly play boat at sea without parental supervision. The boys of primary school age are already capable of searching for pocket money by hunting fish in the sea. The majority of the population Bungin work as fishermen. Most look for fish by diving and archery. There are also those with cages, as well as searching for lobster and sea cucumbers. Roads built to bury the sea by residents to connect the island with the mainland bumin. 0 Response to "Most populous island in the World"